I searched and couldn’t find a thread like this (except for one devoted to specific blends of famed pipe smokers) so I apologize if there is one already. 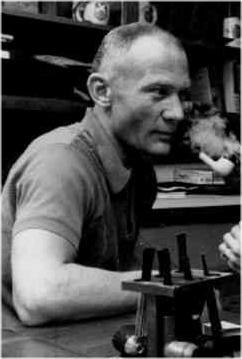 I am a sucker and huge fan of historical (recent or otherwise) photos and videos of pipe smokers. The smoker doesn’t have to be famous (though sometimes that’s more interesting). As a relatively younger guy, I love thinking about a time when it was far more common for men and women to smoke a pipe, in private and public and to display it proudly for a camera. Please post your favorite historical photos and videos of pipe smokers! Here we have the late Justice Antonin Scalia being questioned at his confirmation hearing. Forward to about 3:20 for the Justice enjoying his pipe. I've had a great love for jazz fusion drummer, Billy Cobham, for many years. 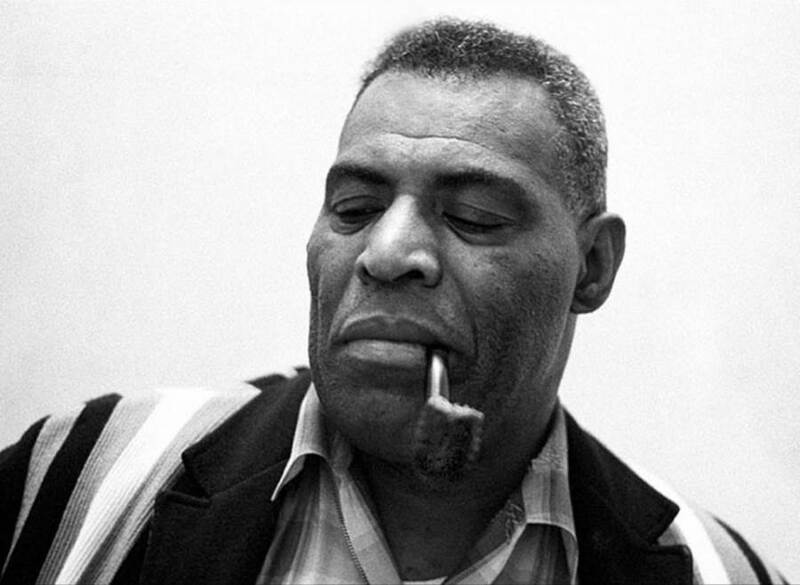 And then, just recently, I found out that he was likely a pipe smoker based on this photo. Now, he's even cooler in my book. Can anyone identify the pipe and/or tobacco pouch in his pocket? And man, can he wail on the drums. Well, I found this video... and this clip made me crack up for some reason, I don't know why. Remember when the most trusted man in America was Walter Cronkite. I give up.. who is it? Thanks for sharing this link!! Some are repeats, but I liked the pics. Honourable mention goes to Andie MacDowell, who appears to be genuinely smoking her pipe in this photo. It was rumoured that she was a closet cigarette smoker, and who knows if she enjoyed a pipe personally, but I'm including her because this is one of my favourite shots of a lady smoking a pipe. Gotta add one Canadian to the mix, writer Farley Mowat. Probably best know for his novel "Never Cry Wolf". He was a WWII vet as well, who fought in Sicily and was promoted to an intelligence officer with the Canadian Army.